The Tony Award-winning musical Fun Home traces the coming-of-age of lesbian author Alison Bechdel, from her youth, to her years at Oberlin College, and finally to the present, where Alison, now grown, is struggling to write her own graphic autobiography. As Alison reflects on her past, she struggles to make sense of it, particularly her relationship with her father, Bruce, a closeted gay man and the owner of the family business -- the Bechdel Funeral Home (“fun” home, as it’s known to young Alison and her brothers, John and Christian). As she watches her father’s self-loathing consume him, Alison recognizes her own experience of discovering, and ultimately embracing, her identity. As Fun Home progresses, Alison is drawn deeper and deeper into her memories, finally entering into them, desperate (but unable) to reverse her father’s self-destruction. An unforgettable and groundbreaking musical, Fun Home explores the haunting pull of memory and the power it has to alternately destroy or shape, our identity. 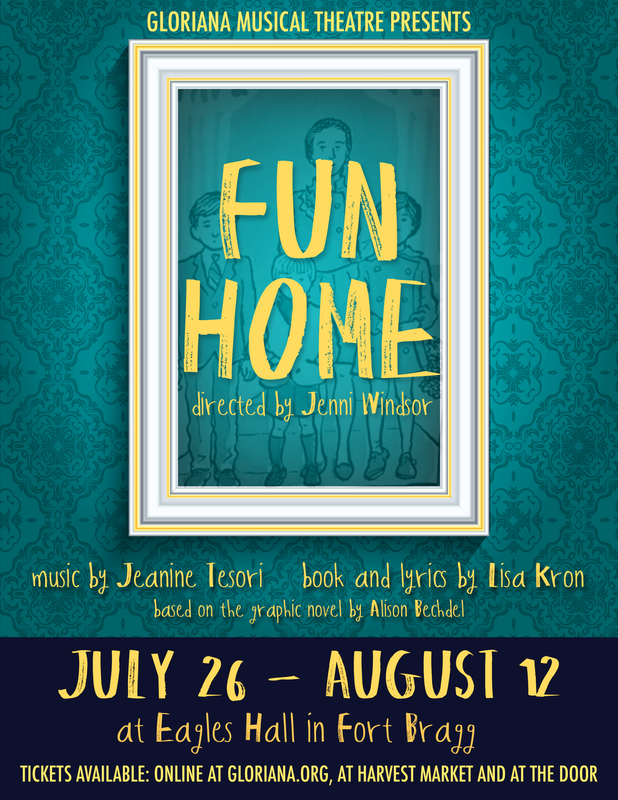 Fun Home will be performed at Eagles Hall Theatre from July 26 to August 12 with performances at 7:30 p.m on Thursdays, Fridays and Saturdays and Sunday matinees beginning at 3 p.m. Admission is $22 for the general public, $20 for Seniors and $12 for youth (17 and under). Fun Home is recommended for ages 13 and up due to mature content and language. 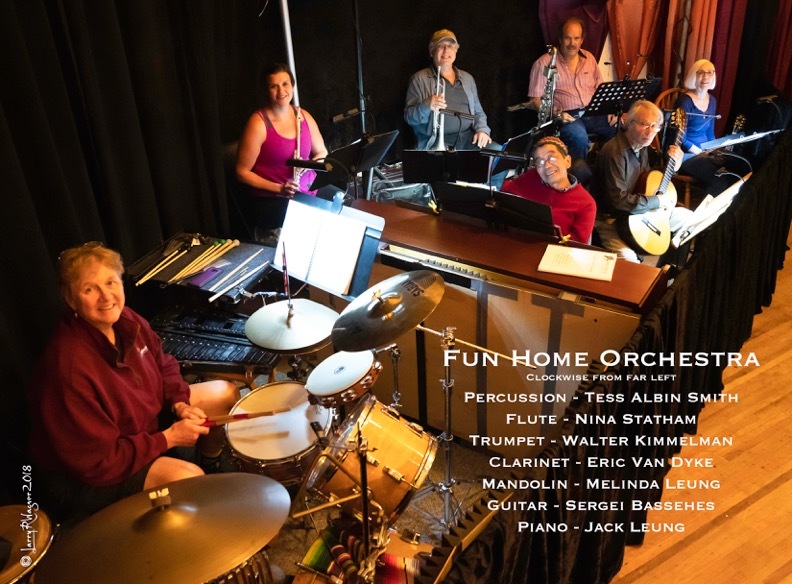 Tickets may be purchased online at https://funhomegmt.bpt.me, at Harvest Market in Fort Bragg or at the door of Eagles Hall Theatre prior to each performance. Be sure to join us for our Gala performance! On Sunday, July 29th following the performance celebrate with the cast and crew and enjoy iconic 70's dishes, a champagne toast and more! Tickets are $30 for general, $28 for Seniors and $15 for youth (17 and under). Interested in sponsoring Fun Home? Find out how by clicking here! “Fun Home” is presented by special arrangement with SAMUEL FRENCH, INC.